Mt. Shasta Fish Hatchery 1 N. Old Stage Rd.,1/4 mi. W of I-5, (530) 926-2215. Daily 8am-sundown. Free. 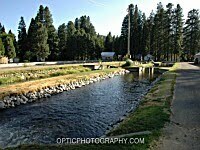 Opened in 1888, this is the oldest operating fish hatchery west of the Mississippi. Narrow rectangular ponds hold rainbow and brown trout raised to stock mountain fishing streams, rivers, and lakes. After the eggs hatch in early spring, more than 3 million fry can be observed. Eagles and ospreys are sometimes spotted here trying to catch fish. Fish food dispensers are available, and a large grassy picnic area with tables provides a view of Mt. Shasta. 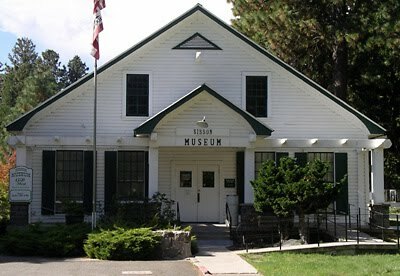 Located next door, the century-old Sisson Museum (1 N. Old Stage Rd., (530) 926-5508. Apr-May daily 1-4, June-Sept daily 10-4, Oct-Dec F-Sun 1-4, closed Jan-Mar. By donation.) holds a working seismograph. Other exhibits explain the history of the town and the local Native Americans, the geology of Mt. Shasta and its glaciers, and also the history of climbing the mountain.